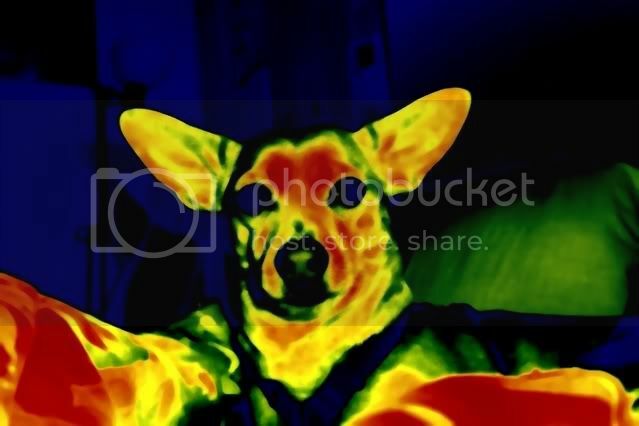 Even though thermal imaging does look different from this it does give it a look of thermal imaging. It fades from purple to red or fading from cold then to hot. To do this tutorial you will need to install the Gradient Mapping plugin. For any questions about the Gradient Mapping plug-in please consult that thread. 1. Open the image you wish to use. 2. Open Gradient Mapping (Adjustments -> Gradient Mapping). Then add the colors like the picture below. Go from Violet, Blue, Green, Yellow, Orange, and Red. Remember to spread the colors. 3. Click OK and you should have your finished product. That's pretty cool, but how often would you use a feature like that? Using the 'Offset' slider with 'Wrap' turned on will let control which areas of your image look the hottest. That is, if the initial setting does not yield the best results. Everytime you want to fool the FBI into thinking your chicken is cooked when it's really sitting on the bench defrosting. I keep forgetting to comment on this tut.. Anyway, this looks quite useful. I may use it soon. I can imagine how great that would look in a siggy with the right effects! And, to be honest, I actually prefer the first outcome, Ash. btw, how did the photographer get the photo? But why is there green? Can haz Plugin because forumer suxxors? 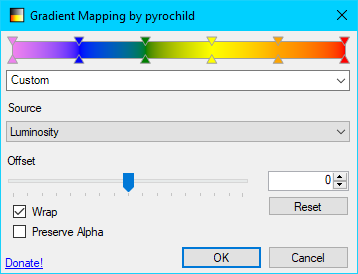 For another method, there is Thermal Heat Map plugin. It doesn't have quite the same detail as it tends to blur the edges, but is more in keeping with what you'd see in a thermal image. Would it be possible to restore the images in the OP? The text doesn't give us a lot to go on. Does anyone have a copy of this tutorial? Updated the images and text. Many thanks to @ReMake for providing the material.